More often than not, the average facial is administered by an overworked beauty therapist with her mind on the next waxing, and finding a true facialist with a passion for their work is a rare and marvellous thing. They are out there, but they often take some tracking down, and once you’ve found your bellwether amongst beauticians you never look back. Wellington, New Zealand based Margaret Hema is a specialist firmly in the latter camp, with a history of almost forty years in the business of beauty and a reputation that spans around the globe. 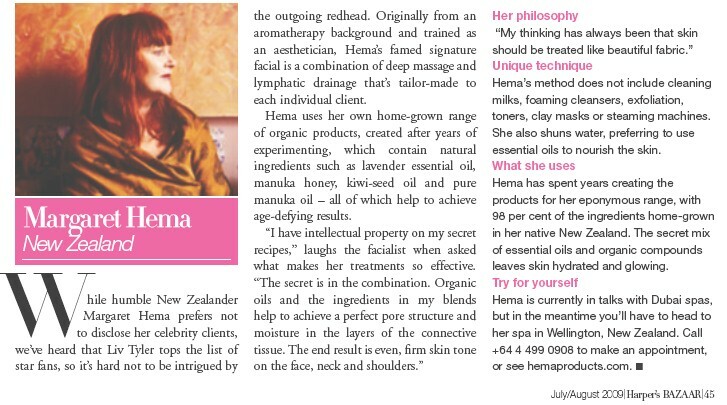 For those that can't visit her ethereal salon in the heart of Wellington city, she thankfully sells a range of hand blended, organic oils that she creates herself with the mantra that “all skin should be treated like beautiful fabric” firmly in mind. "She also does a superb facial - without exfoliants, skin-shrinking clay masks and steam machines - so you leave looking radiant, not like a scrubbed kumara." 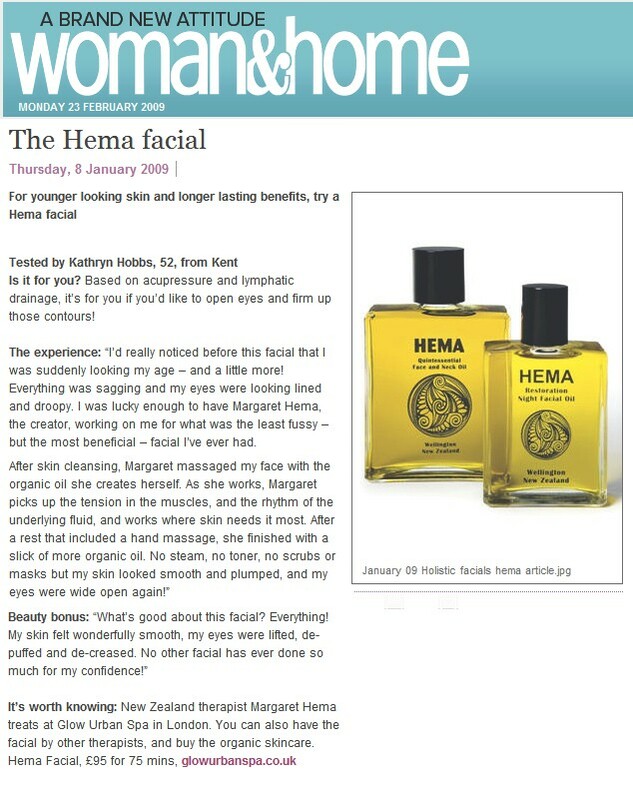 Hema Restoration Night Facial Oil, £76. Available at glowurbanspa.co.uk.